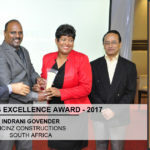 RICINZ Constructions cc is a 100% female Black owned and operated Telecommunication and Construction Company that has been in continuous operation since 2007. Our main focus is on providing value added services for the installation and commissioning of telecommunications and high voltage power installations. Since our company was founded in 2007, Ricinz Construction has through our proven track record developed into Eskom as the main contractor . Ricinz Construction has become a well known name in the industry with a reputation for its consistent quality and professionalism. Ricinz Construction provides a professional service to the customer resulting in the customer being satisfied on time with a quality service and product. We have experience in multiple vendors and equipment and all of our staff members are highly experienced. Fibre Optics is value-added and become a necessity in all industries, businesses and homes, which we commenced business in November 2016 specialising in fibre optic network solutions. We have experience in the fibre optic industry ranging from installations, product management. Our experience includes installation and commissioning fibre optic metropolitan rings, long-haul as well as business connections for telecom operators such as Nextel Long Distance (NLD) Project. • Certificate of recognition for dedication and commitment in Youth and Women Empowerment . 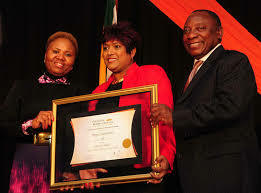 Indrani matriculated in 1981 at Stanger Manor Secondary, in KwaDukuza, KwaZulu-Natal. 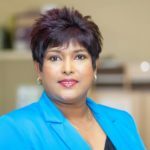 She started her professional career at The Foschini Group back in 1986, where she held a few positions over an 18-year period including packer, sales lady, cashier, admin controller and floor manager. After leaving The Foschini Group, she joined Truworths as a manageress in 2005, a position she occupied for two years. 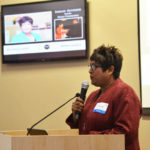 The entrepreneurship bug bit her while at a Women Empowerment Conference in 2007, where she learnt that the government was looking to empower women in business. She then decided to take the plunge and that was when her company, Ricinz Constructions cc was born. Her company’s core business is human settlements design and delivery, and they have augmented their core function with electrical, plumbing and general building maintenance services which complement their main business. The business has recently gone into the ICT sector carrying out optic fibre work for Huawei. Indrani’s constantly involved in community development and in particular, programmes aimed at empowering women in rural communities. She is passionate and a firm believer in empowering underprivileged women and creating jobs. 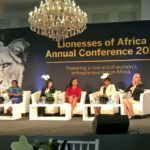 She is also a motivational speaker for the eThekwini Municipality, SEDA for Women Empowerment conferences and Lionesses of Africa. The single mother of two graduated in second position out of 100 businesswomen in the NHBRC Women Empowerment Programme offered by the Gordon Institute of Business Science. Amongst her achievements, Indrani has won a few awards in recognition for her work in empowering others. 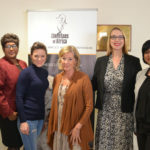 In 2012, she was presented with the Lugugu Lami Award at the South African Women Entrepreneurs Network (SAWEN) by the Deputy Minister of Trade and Industry, Elizabeth Thabethe. 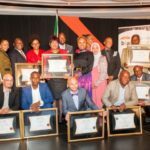 In 2015; she received a Certificate of Recognition for Dedication and Commitment in Youth and Women Empowerment from the KwaZulu-Natal Premier, Senzo Mchunu 2015, Kwadukuza Mayoral wealth and job creation award and Woman Achiever Award. 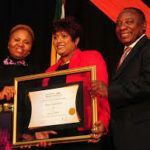 For three years in a row (2014 – 2016), Indrani won the Shanduka National Job Creation Award, presented by Deputy President Cyril Ramaphosa.